Blogger of It’s A Family Adventure, Lorraine Foster, came to the opening night of the hit musical that everyone is talking about! 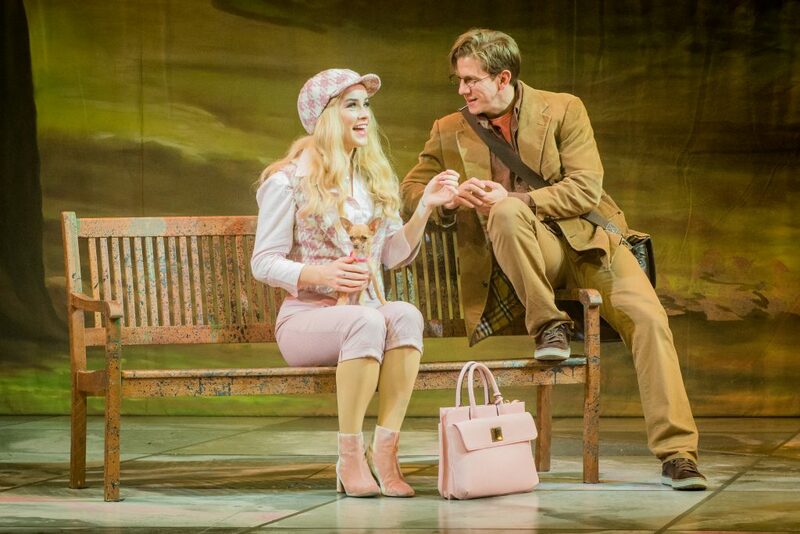 Legally Blonde the Musical is performing at The Grand Theatre, Blackpool until Saturday 14 April. 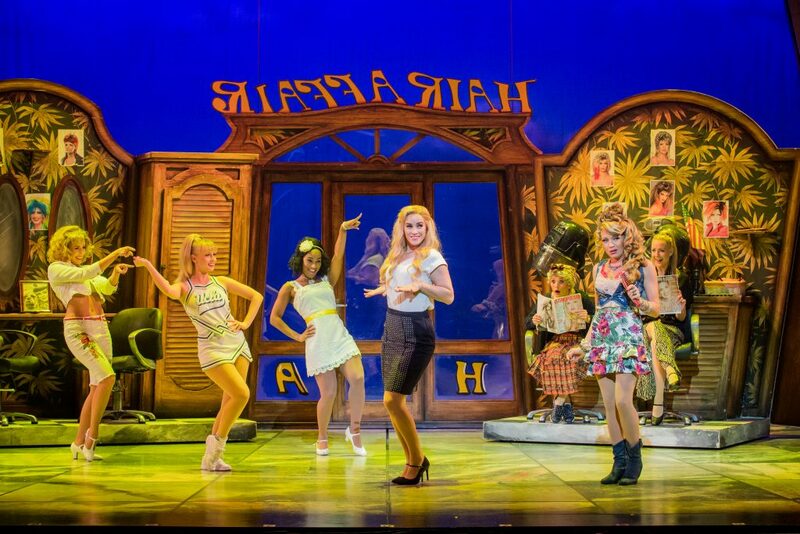 My daughter and I attended the opening night of Legally Blonde the Musical at the Grand Theatre in Blackpool. The show is based on the 2001 hit film and apart from a few slight changes to the original story, it is very similar to the popular on-screen version. It is packed full of high energy dancing, singing, drama and lots of pink! 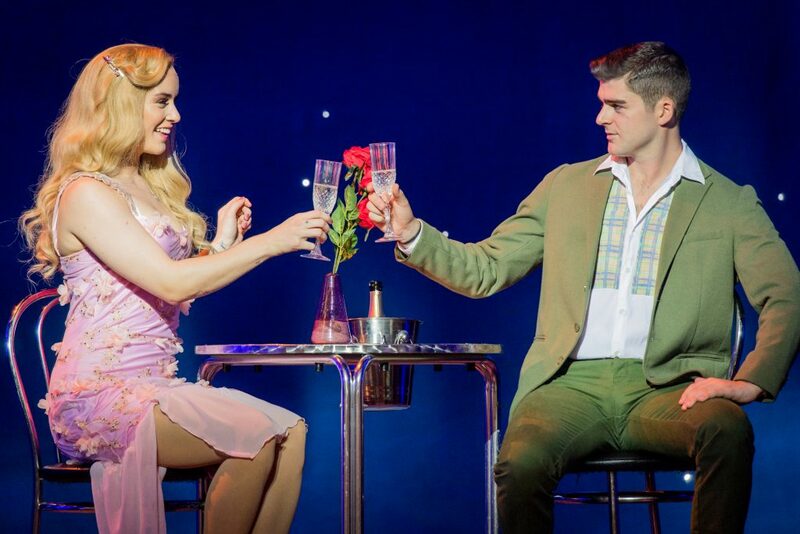 Directed and Choreographed by Anthony Williams, the show tells the story of Elle Woods who is a popular and fun-loving girl, that sadly suffers heartbreak when her boyfriend Warner decides to end their relationship for someone more serious. Elle becomes determined to win Warner back and therefore studies hard to become a student at Harvard Law School. Facing many challenges along the way, Elle proves that being true to yourself, never goes out of style. 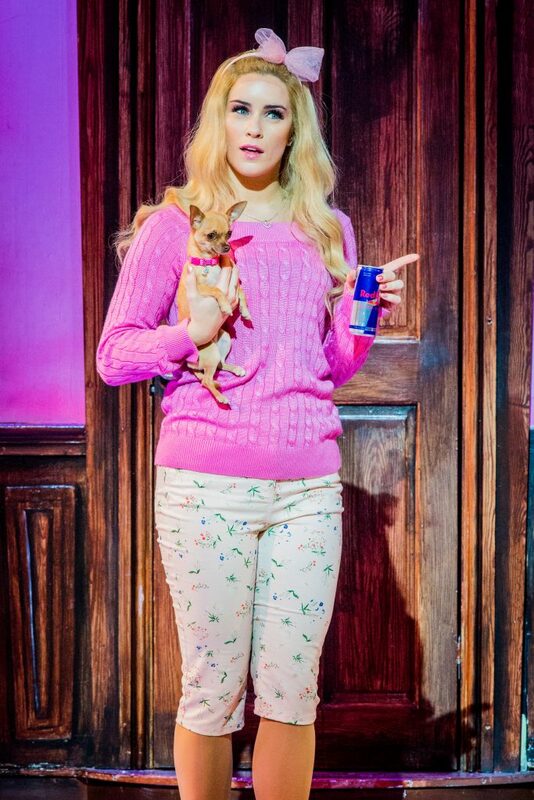 On arrival we were informed that the lead role of Elle Woods would actually be played by the understudy Rebecca Stenhouse, instead of the advertised star Lucie Jones. 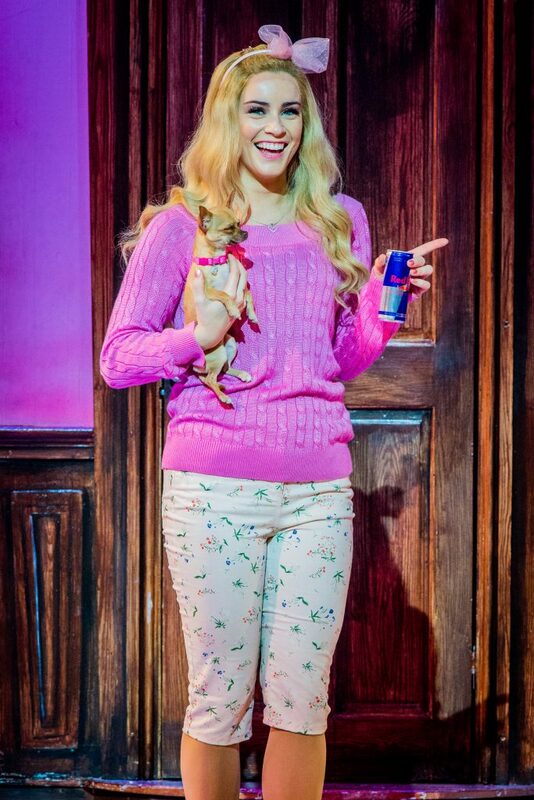 I was a little disappointed on hearing this news initially, as I had heard so many great things about Lucie’s performance in the show. 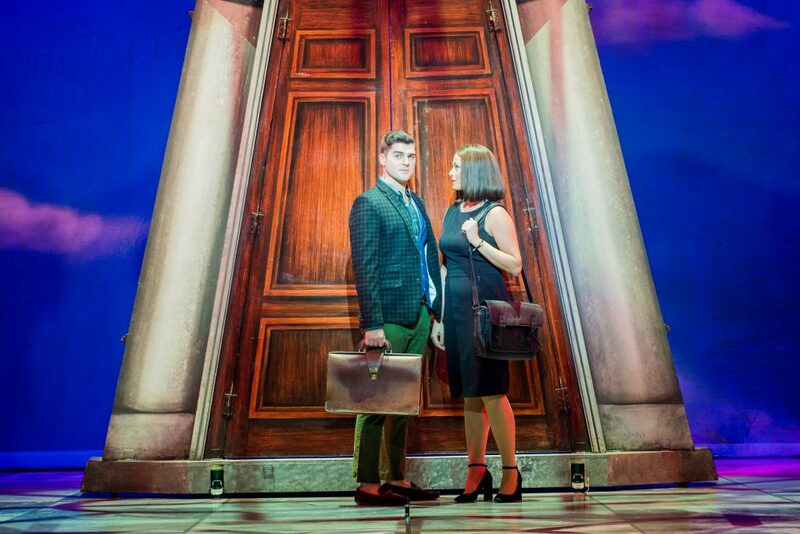 However, it soon became apparent that Rebecca Stenhouse was absolutely amazing as Elle with the most beautiful, yet powerful voice. She stepped up to the role perfectly and my earlier dismay was immediately forgotten as soon as she took to the stage. 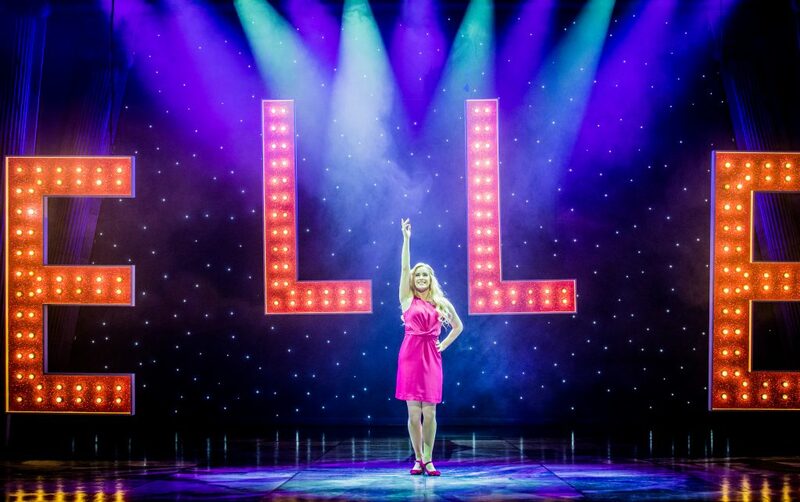 Her comedic timing, flawless dance moves and superb vocals allowed Rebecca to excel in the role of Elle and both my daughter and I were extremely impressed with her performance abilities throughout the whole show. 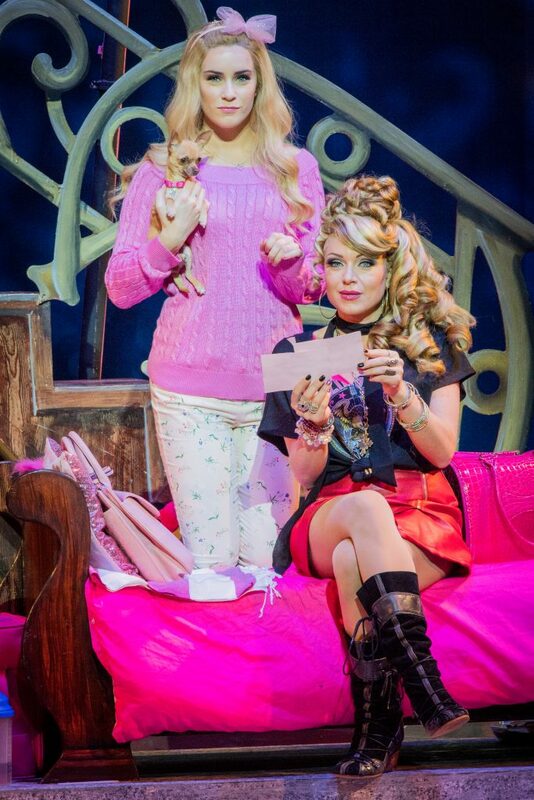 Rita Simons, who is best known for playing Roxy Mitchell in BBC’s EastEnders, stars as Paulette Bonafonte. I always think that it must be hard to take on a new role when viewers are so used to seeing you perform as another character, so I was keen to see Rita’s portrayal of Paulette. Her first salon scene with Elle gave Rita the chance to show off her amazing singing voice with her performance of Ireland. This was a fabulous song that was not only funny and entertaining, but also showed a range of emotions too. There was a slight problem during the song where one part of the Irish flag failed to drop onto the stage, but this only provided Rita with the perfect opportunity to show her professionalism as she continued undistracted with the song. Displaying a strong sassy attitude and a bold American accent, Rita made the character of Paulette her own, which had the audience laughing on plenty of occasions. 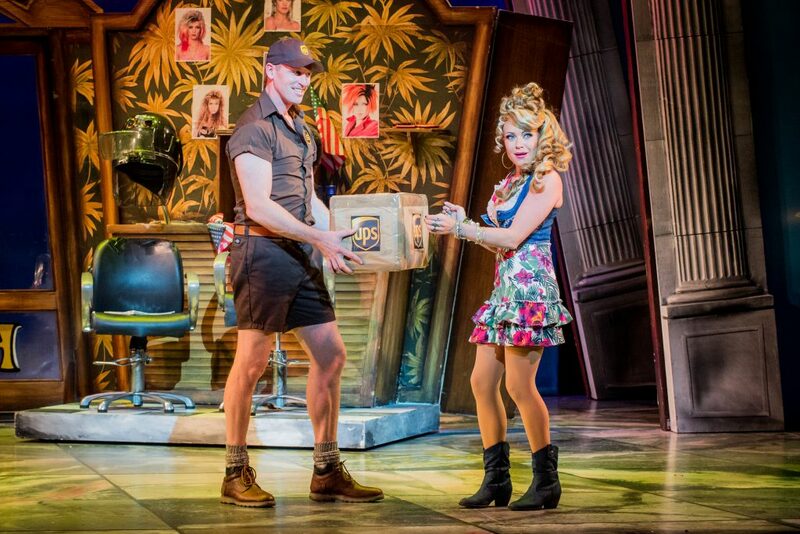 The Bend & Snap scene with the UPS Guy was certainly one of my favourites and I just loved the positive energy and enthusiasm. Starring as Professor Callahan is Bill Ward, who had a great stage presence. His opening number of Blood in the Water, gave the ideal introduction to his character which showed Callahan to be a formidable and successful lawyer who knows exactly what he wants. He also provided plenty of entertaining moments too with his dancing and facial expressions during the show. 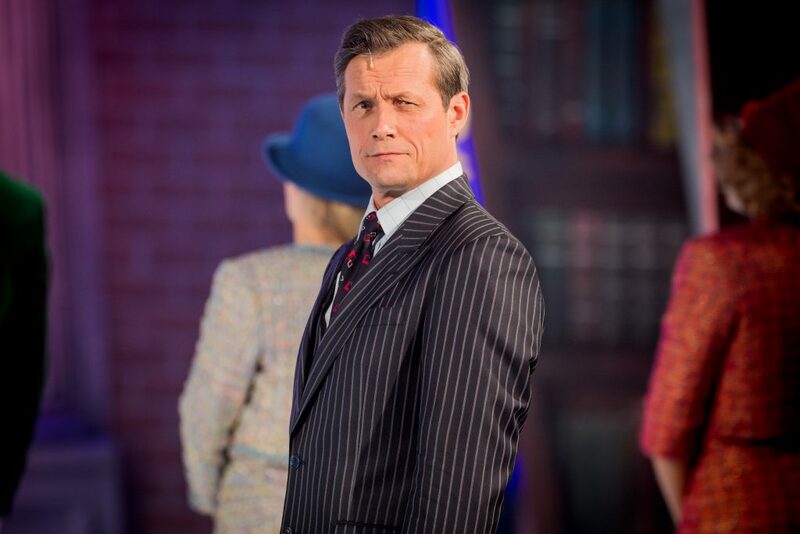 David Barrett stars as Emmett and he delivers some lovely moments with Elle, where their on-stage chemistry comes across as very believable. I loved the scenes that just featured the two of them, as these also displayed some important messages, such as believing in yourself, working hard to achieve your dreams and how you can also find love when you least expect it. It is great to watch a show that has so much positivity and happiness throughout. Warner Huntington III is played by Liam Doyle and both my daughter and I really enjoyed his first scene with Elle where they sang Serious together. 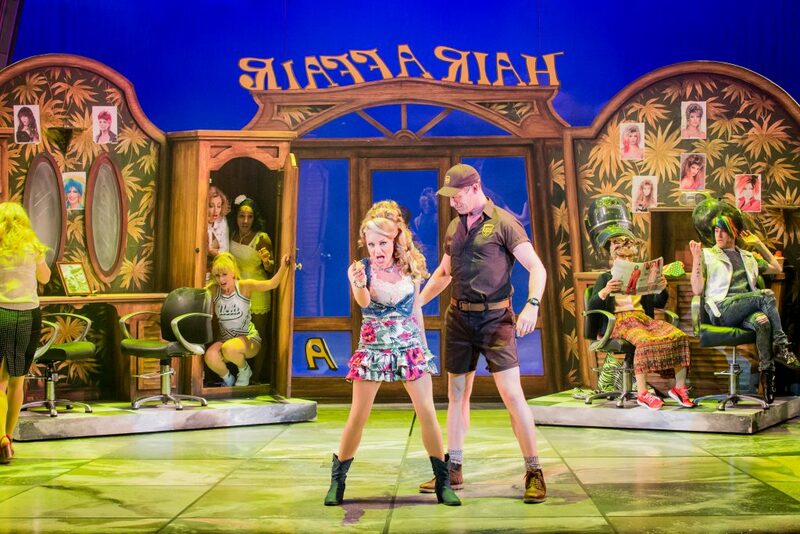 Their comedic timing was perfect during this performance making what was a ‘Serious’ matter, actually appear rather amusing. My daughters favourite part of the show was the Gay or European court room performance which, like the rest of the show, was packed full of energy, drama and comedy. It has a really catchy tune and we both found it to be absolutely hilarious, as well as being extremely well choreographed. 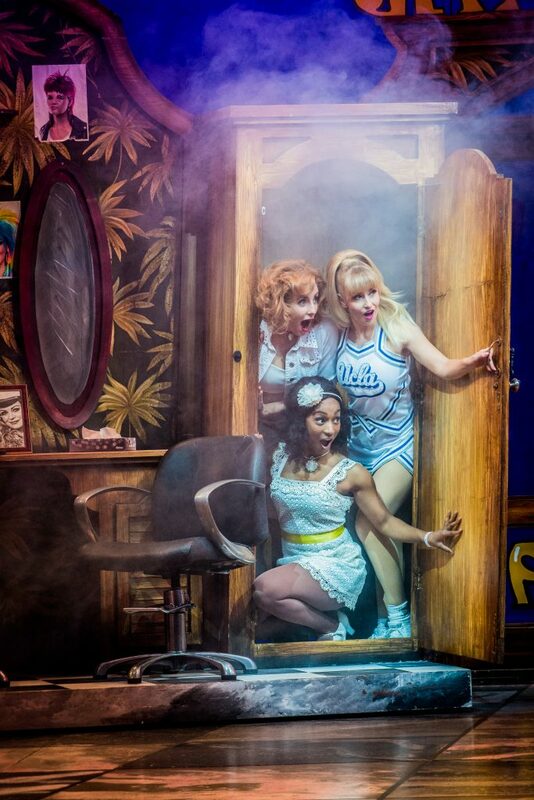 Credit also has to go to Helen Petrovna as Brooke Wyndham for the incredible opening scene of Act 2. Her rendition of Whipped into Shape, involved the creative use of skipping ropes that was extremely impressive. Helen somehow managed to make this look effortless and the fact that she was also able to continue acting after such a routine, without even looking short of breath, was incredible. 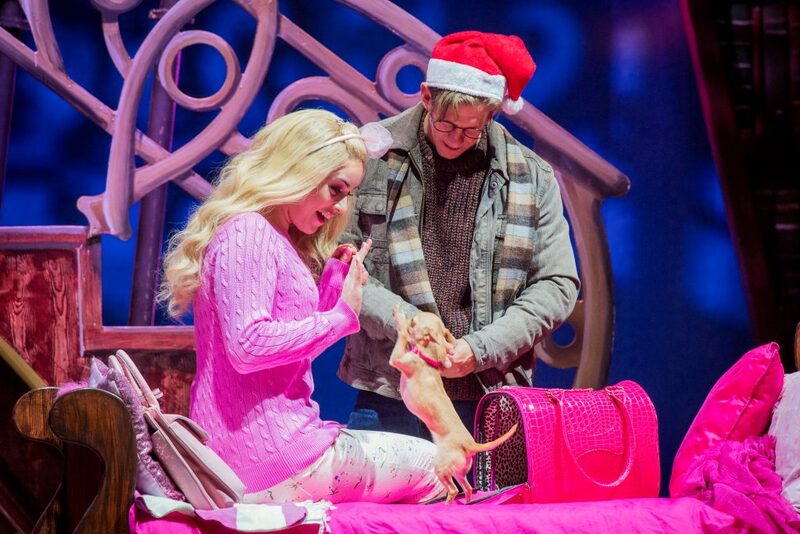 The remainder of the cast also worked extremely hard and were well supported by two very special canine performers in the form of Bruiser and Rufus who gained immediate popularity the moment they stepped out onto the stage. 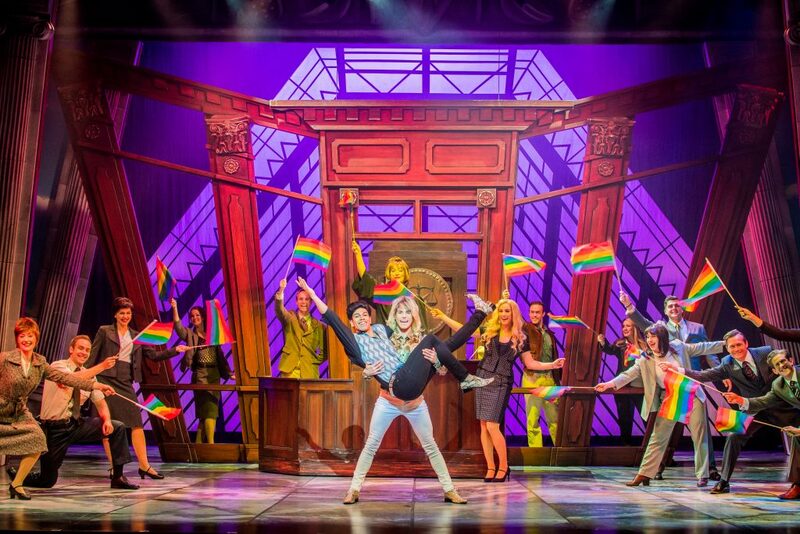 Overall Legally Blonde the Musical is a really uplifting & feel-good show that can’t help but put a smile on your face. 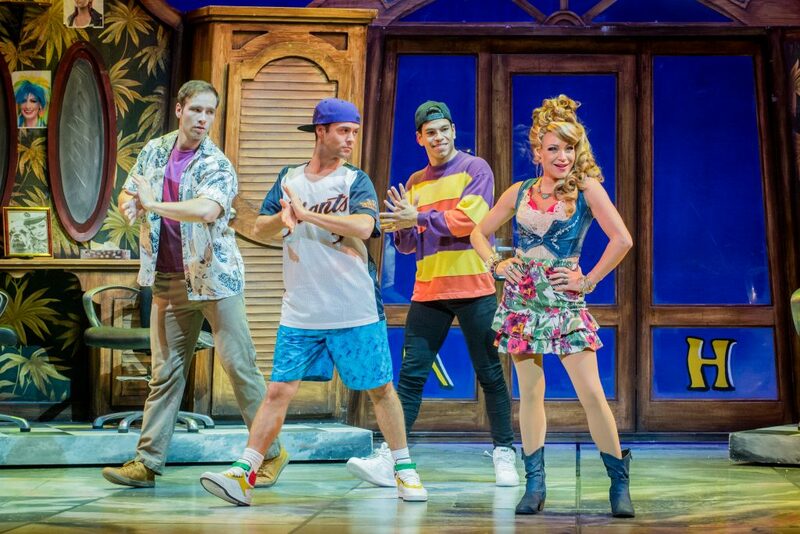 The finale saw the audience get up from their seats to clap, sing and dance along to the musical medley and the cast rightly deserved their standing ovation. 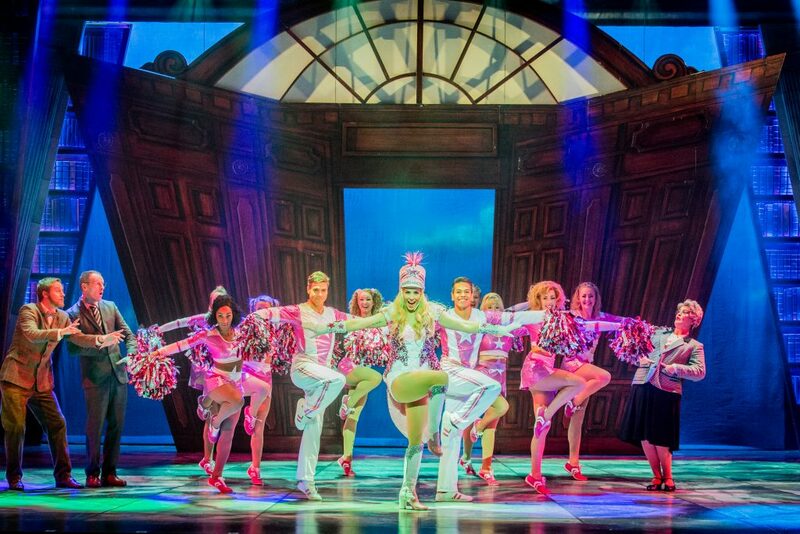 Packed full of fast paced dancing, catchy songs and positivity, it is a must-see musical that offers something for everyone. 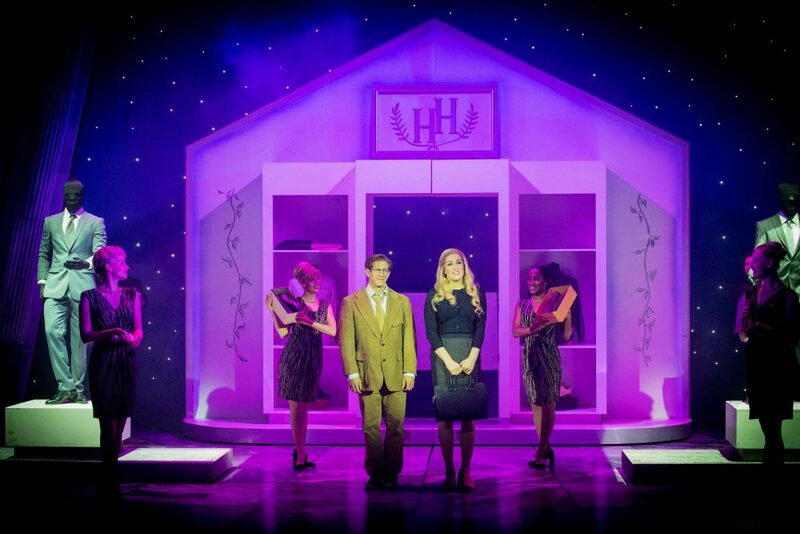 Legally Blonde the Musical, will be performing at the Grand Theatre, Blackpool until Saturday 14 April. Tickets are available by clicking here or call our Box Office on 01253 290190.